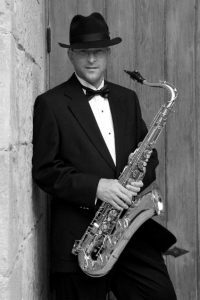 The leader and founder of the Royal City Saxophone Quartet, Ernie Kalwa is a graduate of the University of Waterloo in Mathematics and Music. He studied saxophone at Humber College with Pat LaBarbera, and later in North Carolina with James Houlik. He has played in numerous bands and has traveled to many jazz events and festivals throughout the United States and Canada. His many influences include Zoot Sims, Stan Getz, Sonny Stitt, and Hank Mobley.